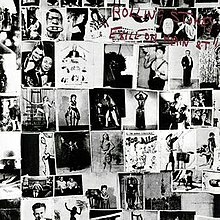 THE ROLLING STONES: EXILE ON MAIN STREET: 1972: 5 STARS OUT OF 5 STARS: CD: The 10th album by The Rolling Stones and their first double album. I can remember buying this album [I need to dig the vinyl out of my collection I still have it} while I was in college in 1980. I was down to $10 for the week and I spent it at a local record store on “Exile”- I wasn’t disappointed and it wasn’t a bad way to spend your last Alexander Hamilton. For a casual music fan there may be only two songs on this album they might recognize- Tumbling Dice #7 and Happy-#22 on the Billboard charts . The sound of the album is rather muddy- Mick Jagger’s vocals are in the mix and hard to understand at times. The great critic Lester Bangs in his first review of the album said that it was the worst Stones album to date- then a month later corrected himself saying it was the best. It is an album that to me gets better with each listen. This album was released 46 years ago- the Stones are still together. In the last 46 years the Stones have released only one great album-Some Girls. Kind of sad especially when you consider the run they had in the 1960’s to early 70’s. THE BEATLES: PLEASE PLEASE ME: 1963: 5 STARS OUT OF 5 STARS: CD: The Beatles debut album. 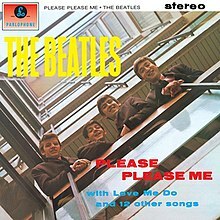 Ranking the songs in order of greatness: 1- Please Please Me 2. Twist and Shout 3. I Saw Her Standing There 4. There’s A Place 5.Love Me Do 6. P.S. I Love You 7. Misery 8. Ask Me Why 9. Boys 10.Do You Want To Know A Secret 11.Baby It’s You 12. Chains 13. Anna 14. A Taste Of Honey. This evening listened to the first of the three hours of this weeks NEON BEAT. Both great albums. While The Rolling Stones are one of my favorite bands and I know many of their songs, unlike The Beatles, I’m not as familiar with their entire albums. As such, it is a bit tricky for me to point out their best records. Like with most other Stones records, I know some tracks on “Some Girls” but not the entire record. I’m going to explore it. As for later Stones albums, I also like “Steel Wheels” from 1989. I would say the Stones have made good albums since Some Girls- but not a GREAT one. I liked Steel Wheels too. Will check the book out- I have read stories about those recordings- crazy times!